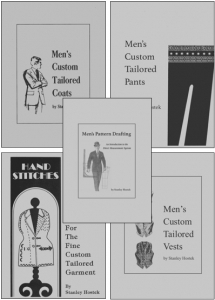 Stanley Hostek Tailoring – The Stanley Hostek Tailoring Book Series. Men's Custom Tailored Coats, Men's Custom Tailored Pants, Men's Custom Tailored Vests, Pattern Drafting: An Introduction to the Direct Measurement System, and Hand Stitches: For the Fine Custom Tailored Garment. Seattle Fine Tailor. Stanley was born in Lewistown, Montana, where he grew up on his grandfather’s horse ranch, learned the tailoring trade from his father, and formed a deep appreciation of his Czechoslovakian heritage. Stan’s upbringing in Montana cultivated his passion for Western and Native American art, literature and movies. 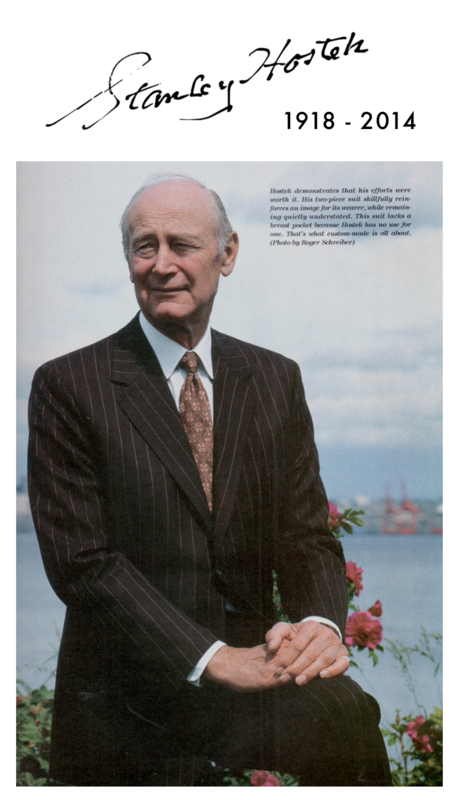 He became a resident of Seattle, Washington in 1937 where he met his wife Dorothy. They raised two children and spent 71 years of marriage together. Even in retirement, Stanley enjoyed teaching others the tailoring trade in the hope of carrying on its old-world legacy and importance. He was a Past Master of Montlake Masonic Lodge, No. 278, and he served in the European Theater in World War II, storming Utah Beach in the D-Day invasion of Normandy. Stanley passed his tailoring book business to his four grandchildren in 2012, so that his work could continue into the future. They formed Stanley Hostek Tailoring and run his website, StanleyHostek.com. Founded and run by Joyce Murphy of JSM Tailoring Tools, she was a friend of Stanleys, and her business is a wonderful resource for tailoring education and tools. © 2012-2018 Stanley Hostek Tailoring and respective rights holders. All rights reserved.